Investigators believe they have exposed 'the tip of the iceberg'. The disgraced director of fisheries had a very cosy relationship with a Spanish tuna kingpin accused of running a massive illegal fishing racket, phone intercepts indicate. Transcripts of intercepted phone calls between the now-suspended fisheries head Andreina Fenech Farrugia and tuna tycoon Jose Fuentes Garcia, seen by Times of Malta, show how the two were in close contact using “secure” mobile phone numbers, and discussed meeting up in Malta hotels. Investigators noted how their Spanish suspects referred to an "Andreina" as "the boss". A Spanish telecoms provider confirmed to the investigation that the mobile phone numbers were registered to the Spanish fishing giant’s company Ricardo Fuentes and Sons. Spanish investigators only discovered the existence of this communication by chance, stumbling across another company mobile phone other than Mr Fuentes’ which appeared to belong to a certain “Andreina”. They believe that the nature of the conversations suggested the two had a relationship of “absolute trust”, discussing meetings involving “senior government officials” that investigators believe were intended to facilitate a tuna laundering racket. The transcripts, which form part of a Spanish court case due to begin in the coming days, date that particular conversation as having taken place last June 20 (see timeline below), when EU fisheries heads were meeting under the auspices of Bulgaria’s EU Council presidency. Dr Fenech Farrugia on Tuesday denied any wrongdoing. In a statement, EU Environment Commissioner Karmenu Vella said he "strongly condemned" the malpractices reported in Spanish media and that the EU Commission was in contact with Europol to follow up on them. 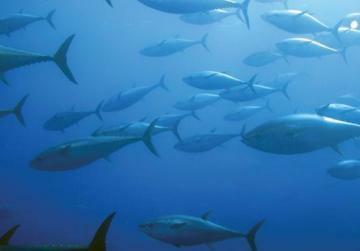 The Commission also noted that an audit of Maltese fish farms last October had highlighted "a number of shortcomings" which it was now discussing with Maltese authorities. It insisted that fishing for bluefin tuna in the Atlantic and Mediterranean "is often considered as the most controlled fishery in the world". Sources close to the case say they suspect this development is "just the tip of the iceberg". 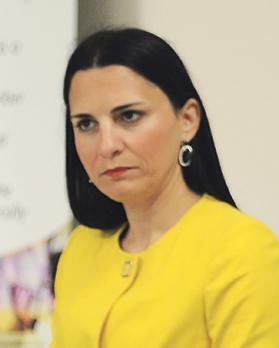 Times of Malta reports that Andreina Fenech Farrugia will return to the fisheries department as director general, just a few years after she was moved on from the department. But they overran that quota by 1,500 [kg or tonnes - the transcript is unclear] in the last slaughter, and they now need to destroy that excess if they’re to pass EU quota tests. “Ramon” says that there is a total 9,000 limit between three operators, themselves included. If they want their share to rise to 4,000, they need to get the other operators to give up part of their quota. “Ramon” says that "Andreina" explained all this to her people, and she is “the boss”. “We told her we don’t agree,” says Ramon, “Andreina said she will speak to the fishing people. Fuentes greets "Andreina" with “gorgeous”, which prompts her to reply that “the minister and everyone else wants me”. She tells Fuentes he “has to pay” and that (rival tuna firm) Fish & Fish must know of nothing. Fuentes asks "Andreina" what she’s doing. "Andreina" says she has back pain. Fuentes suggests she gets “a good massage”. The two discuss tuna catches. Fuentes tells "Andreina" that he’s told “Ramon” that he would like to start laying out cages next week. "Andreina" warns him to keep quiet. She will get “Giovanni” to pressure the politician, she says, so that nobody suspects her. "Andreina" says she doesn’t trust Giovanni much. “Do you think things will work out?” asks Fuentes. “Yes, because you have me, ok?” "Andreina" replies. Spanish mobile phone operator Telefonica confirms that the phone number being used by “Andreina” belongs to Ricardo Fuentes & Sons. The SIM card was registered on May 23, 2013. The EU’s Agriculture and Fisheries Council meets in Luxembourg. The meeting brings together ministers and politicians responsible for the fishing sector - Malta is represented by parliamentary secretary Clint Camilleri – as well as EU Environment Commissioner Karmenu Vella. Top officials from member states' fishing sectors meet in Bulgaria for an informal meeting three days later. The Director General of the EU Commission's Maritime Affairs division was also present, but had "no bilateral meeting with Ms Farrugia", the Commission said on Wednesday afternoon. “I’m in Bulgaria only for you. You have to pay me, there’s a meeting with the General of Brussels to fix things,” she says. Fuentes tells "Andreina" it’s harder to get through to her than the Minister himself. The two discuss (tuna) cages. Fuentes wants to know if cages have been laid down. "Andreina" says no, that tugboats are ready to start introducing fish into them. "Andreina" asks when he wants to begin. “The day after tomorrow,” Fuentes replies. "Andreina" suggests he comes to Malta. Fuentes tells "Andreina" he is coming to Malta for the meeting with the minister on Tuesday. The meeting is to secure a larger (tuna) quota. "Andreina" says she is sorting it out herself. "Andreina" asks if he will be spending a day with her. Fuentes says yes. "Andreina" complains that her partner is only interested in football and that she is alone. "Andreina" says she has emailed “Marebrun” to inspect all tuna vessels. Brussels wanted to know if all tuna was registered with BCD (codes). "Andreina" says she told them it was all marked with BCD. Fuentes says he will be landing in Malta at 10.30pm and will be there until Thursday. Giovanni has booked him a hotel at the Hilton. He asks her to join him for dinner, but "Andreina" says she cannot have dinner with him in Malta. If he’s at the hotel at 11pm she will come see him, if not she’ll see him at 6am. "Andreina" says there are plans to lay down a cage on Sunday, but she does not know which one. The operation comes to an end. Jose Fuentes is due to meet “the Maltese minister” the following day, to obtain permission to increase his company’s quota of tuna to 4,000 from the 3,000 he is permitted. Investigators say "Andreina" helped smooth that meeting. 79 people are arrested in an EU-wide operation Europol dubs Operation Tarantelo. 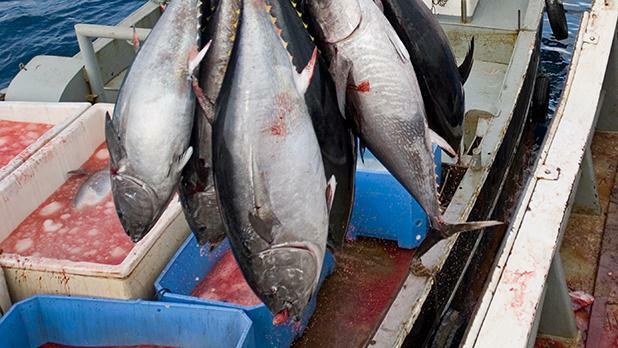 Authorities seize more than 80,000kg of bluefin tuna. The volume of this illegal trade is double the annual volume of the legal trade, which is estimated to be 1.25 million kilos,” Europol says. The international mission was conducted by the Spanish Guardia Civil with the support of the French, Italian, Maltese and Portuguese authorities. Transcripts of phone intercepts form part of a Spanish court case.